Beautifully designed, unique & exquisite. 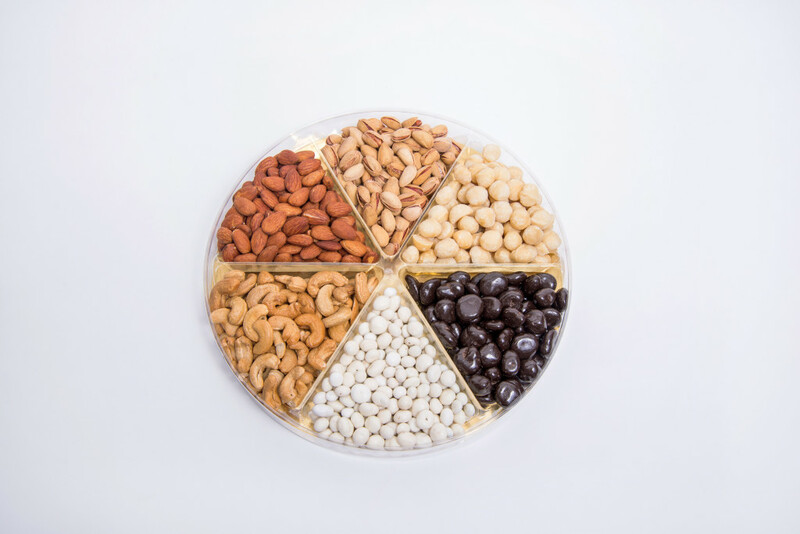 The Gourmet Collection includes an assortment of fresh, high quality, organic and natural nuts, dried fruits and dark chocolate indulgence. For larger delivery orders, please contact us for delivery information at info@pestacio.ca or 647.748.5322. 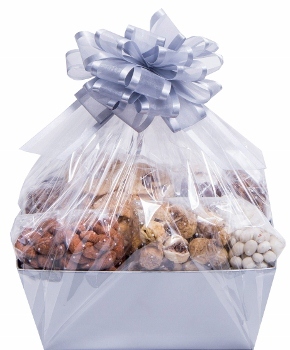 A tasteful array of organic & natural nuts, dried fruits, honey, and chocolate covered treats. 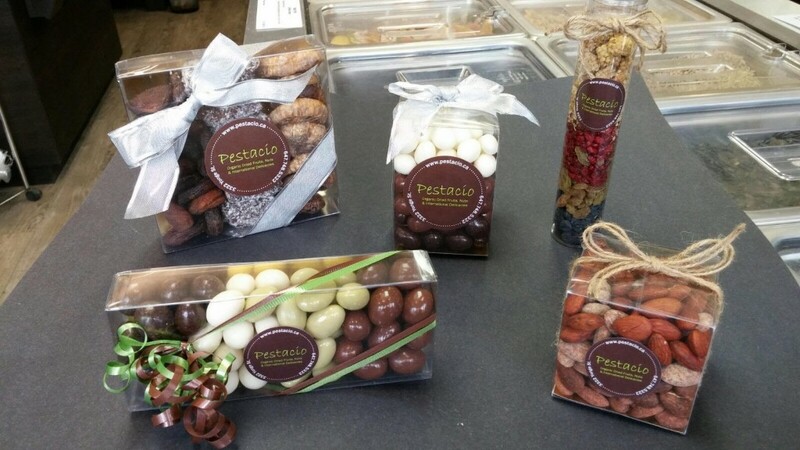 If you would like to customize your selection, contact us at info@pestacio.ca or 647.748.5322. 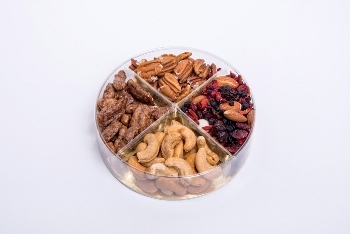 Beautifully arranged assortment of fresh organic and natural nuts & dried fruits- truly heavenly. 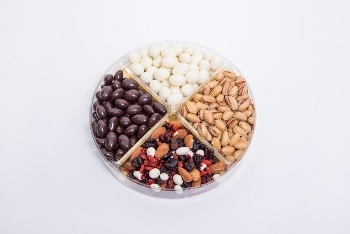 An array of fresh natural & organic nuts, dried fruits and exquisite chocolate creations elegantly arranged. The Large Tray fits 6 items and is 12×1.5″. 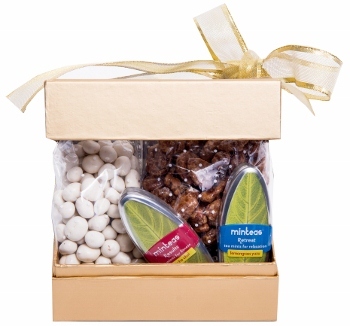 An array of fresh roasted natural & organic nuts, dried fruits and exquisite chocolate creations elegantly arranged. 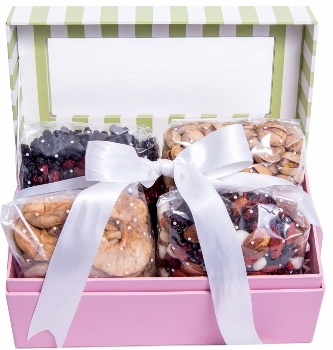 The Small Gift Tray fits 4 items and is 6×1.5″. If you would like to customize your selection, please contact us at info@pestacio.ca or 647.748.5322. 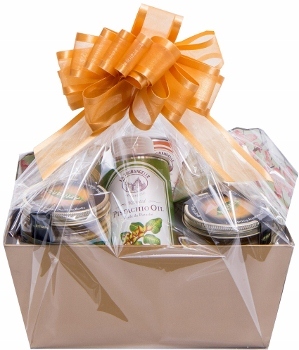 The Medium Gift Tray fits 4 items and is 9×1.5″. 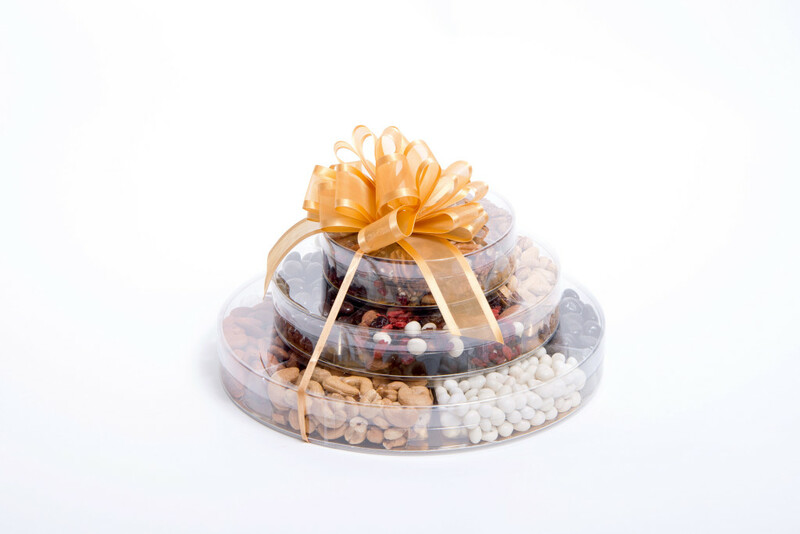 The Tower of Elegance is beautifully packaged and layers the Small, Medium and Large Gift Trays. If you would like to customize your selection contact us at info@pestacio.ca or 647.748.5322. For larger delivery orders, please contact us for special pricing at info@pestacio.ca or 647.748.5322. A variety of gift boxes for the holiday season. Check out in store what delicious combinations we have created, or contact us in advance to place an order at info@pestacio.ca or 647.748.5322.